Firetune 1.2 is a Firefox extension that you can use to tune the performance of your Firefox browser. The Firetune 1.2 extension allows you to optimize the CPU memory usage. It let you choose from a list of optimization options based on how fast you want your computer or internet connection to be. For example, if you want to speed up your DSL internet connection, you can choose Slow computer/Fast connection. The optimization settings in Firetune 1.2 have been tested to work. 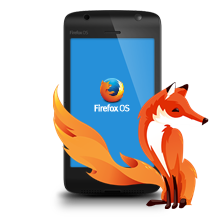 It is not easy to tune your Firefox browser manually especially if you are a newbie user. Firetune 1.2	makes it easy for you to tune your browser since you just have to choose the optimization setting and press the Tune It button. Fast computer is recommended for computer with a CPU that is higher than 1.5 Ghz. You should choose a tweak that is best fit the description of the performance of your computer and internet connection. Firetune 1.2 is ideal for people with computer that runs slow or don’t have access to fast internet connection. Firetune can be easily uninstalled if you don’t want to use it anymore. Firetune 1.2 is a portable extension so you can run it from USB thumb drive. Prior to using Firetune, make sure you first delete all the cache and cookies in the Firefox browser. If you have user profiles stored on Firefox, make sure you backup them first before running the Firetune extension. You can click on the create backup of configuration option to backup your configuration. When you want to restore the configuration, you simply click the restore original configuration button. It comes with a readme file that provides additional information on the extension. Firetune 1.2 only provide support for user profiles in the default directory. FireTune won’t be able to locate the user files if it is located on other folders.